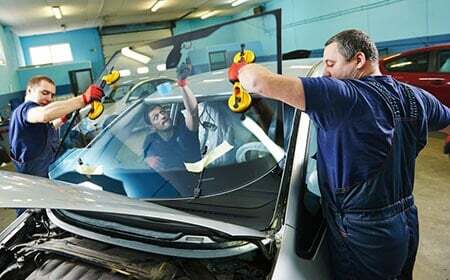 ﻿ Windshield Repair: Does my Car Insurance Cover That? First, it’s a tiny chip. Then it becomes a crack. You watch it creep across your windshield, wondering how long you have before you absolutely have to fix it. Does insurance cover windshield repair? What about long cracks? Here’s what you need to know. Smack. It’s the cringe-inducing sound of a pebble striking your windshield, and it’s usually followed by the appearance of a chip in the glass. 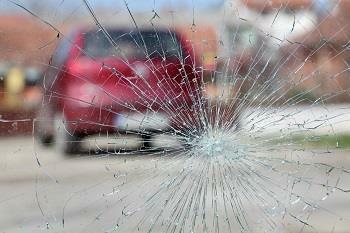 It’s easy to ignore a chipped windshield, but you should have it fixed as soon as possible. Why? A windshield chip is a simple fix, but once it turns into a crack it’ll be a much more expensive windshield repair. Hot or cold weather conditions, or even driving on a bumpy road, can create cracks. A chipped windshield is also a safety hazard. According to Safelite Auto Glass, a windshield provides up to 30 percent of a vehicle’s structural strength, and a weakened windshield may compromise your safety in a crash or rollover situation. Will Insurance Cover Windshield Chip Repair? The good news is that most auto insurance policies will pay for your windshield chip repair and even waive the deductible. Insurers would rather have you make the quick and cheap fix so you don’t have to file a windshield insurance claim later on. What if you already have a cracked windshield? Typically, your comprehensive coverage will cover repairing a crack in your windshield if it’s less than 6 inches long — about the length of a dollar bill. Many insurers will cover the repair with no deductible as long as you use a company within the insurer’s network. Will State Farm Car Insurance Cover Windshield Repair? State Farm sees windshield repairs as a way to keep your insurance costs down, as it saves you from having to replace your windshield down the line. State Farm has a simple visual guide to the types of windshield chips that can be safely fixed. Typically, small breaks or chips that happen outside of the driver’s line of sight can be fixed easily without having to get a windshield replaced. You’ll have to check with your insurance provider to see if your windshield crack repair is covered. Can I fix a chipped or cracked windshield myself? Windshield chip repair is an easy DIY project; windshield crack repair isn’t so simple. To fix a chipped windshield, you can buy a small DIY windshield repair kit, usually costing between $8 and $20. The process begins by clearing away all stray pieces of glass with a razor blade. You then affix a device to your windshield with suction cups to hold the repair tool precisely over your windshield chip. Add repair resin, push it down with a plunger and then cover the repaired area with finishing film for a smooth surface. As long as you follow the directions carefully, the result should be a professional-looking, nearly undetectable chip repair. In short, it’s better to call in the professionals for a cracked windshield. If you have comprehensive coverage, your auto insurance will cover windshield replacement. You will have to pay the deductible, however. Get a quote first, because if the cost of a new windshield is less than your deductible, you shouldn’t file an insurance claim. A typical windshield replacement cost is between $100 and $400, reports CostHelper.com, averaging $214. If you drive a luxury car or a rare car, the cost may be much higher. When you’re paying out of pocket for a windshield replacement, it’s tempting to go with the cheapest option. Don’t do it, experts warn. Bargain-rate installers may put in inferior quality glass or install it incorrectly, without a proper seal. The result: a leaky windshield or worse, a windshield that pops out in an accident, raising the risk that you’ll be thrown from the car. Find registered, professional windshield repair shops on SafeWindshields.org. Can my car pass state inspection with a cracked windshield? If you live in Virginia, Texas, Pennsylvania, New Jersey, New York or one of the handful of other states that require your car to pass a state inspection, you may be wondering, Will my car pass state inspection with a crack in my windshield? The short answer is, maybe. In Virginia, if there is a chip or crack larger than 1.5 inches, you’ll need it repaired before the car passes. Also, if the windshield is weakened by the crack or chip, you’ll be in for a windshield replacement or repair before you’ll pass. However, since the windshield is a major safety feature of the car, you’ll want to make sure it’s safe regardless of whether or not it passes.